In an age where any jackass kid with a four-track can bathe his ill-conceived “songs” in feedback and then post them to the internet overnight, John Dwyer has become something of an elder statesmen in the nebulous and increasingly popular garage/punk rock underground, and he did it the old-fashioned way. For some 15 years now, Dwyer has been playing in bands, amassing shows, starting new bands with which to amass shows, and just generally getting out there like any decent musician should—doing the work, as it were. Dwyer’s most easily discernible/notable starting point came via his noise-rock-by-way-of-performance-art duo, Pink and Brown, in 1997, and was followed by the slightly-less-short-lived Coachwhips in the early/mid ‘00s, with a smattering of bands in between and since. Suffice to say, the man’s never found himself without avenues for releasing music. But with Thee Oh Sees, a project that originally started as an outlet for Dwyer to experiment with stranger, solo sounds, and which went through a series of different names, he seems to have found his band—for now, anyway. 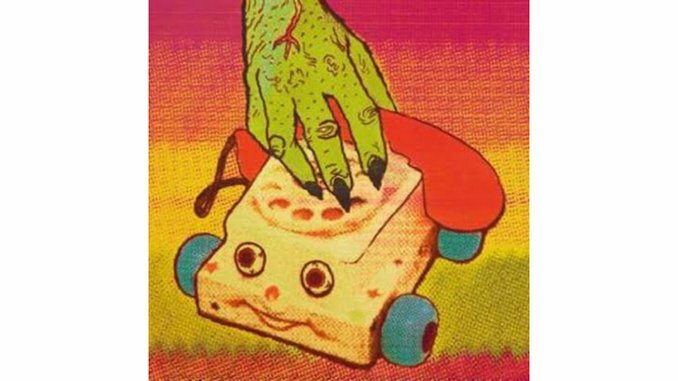 Castlemania, which is something like Thee Oh Sees’ eleventy billionth release to date, is a nice combination of the band’s catchiest moments and its most head-scratching. Like a Robert Pollard for the Terminal Boredom set, Dwyer can be hard to keep up with. Case in point: the press materials for Castlemania include a quote from him about another album coming this fall, one that he calls “maybe our best yet.” And with that kind of prolific output, there are always ups and downs. For every near-perfect slab of garage-pop, such as 2009’s Help, there’s a tougher-to-sit-through, psych-folk influenced effort like 2010’s Warm Slime. Castlemania splits the difference, but mostly for the good. Many of its tracks feel like drugged-out children’s songs, peppy and led by acoustic guitars and silly-sounding vocals. It meanders into artsy, self-indulgent territory here and then, a long instrumental passage led by a saxophone solo turning to a full minute of silence (!!!) at one point (“The Horse Was Lost”), but those moments are few and far between. Mostly, Castlemania is the work of a guy who’s earned the right to do what he wants doing just that, with a great and hopefully-here-to-stay band to boot. And the good news is we’ll only have to wait a few months to see what he does next.